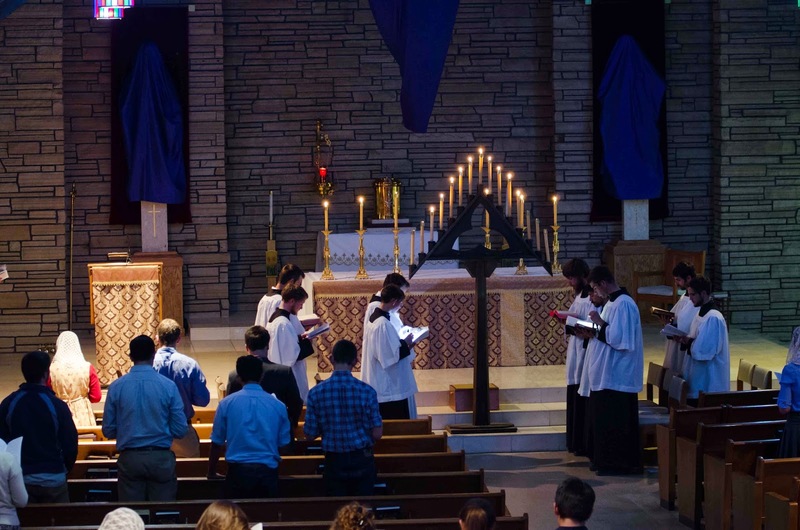 For the fourth year in a row, students, faculty, and staff of Wyoming Catholic College and their families came together last Wednesday night to celebrate the full traditional Tenebrae of Holy Thursday. 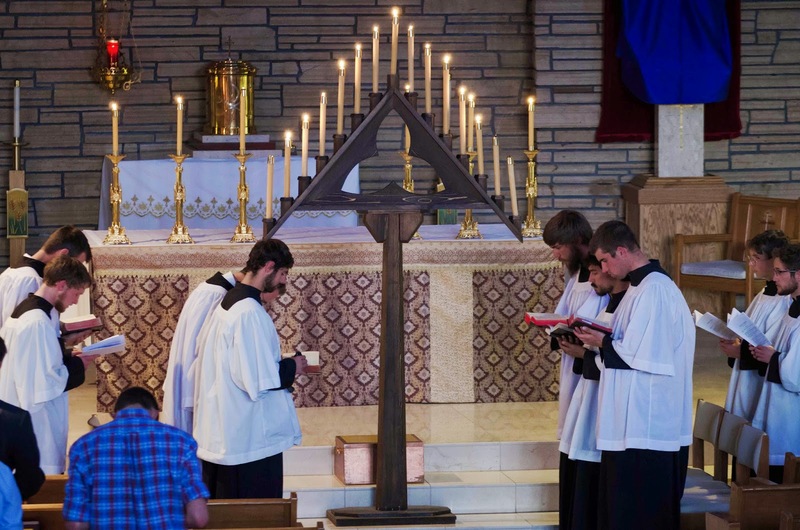 It has become a deeply loved custom, a perfect way to enter the Sacred Triduum. 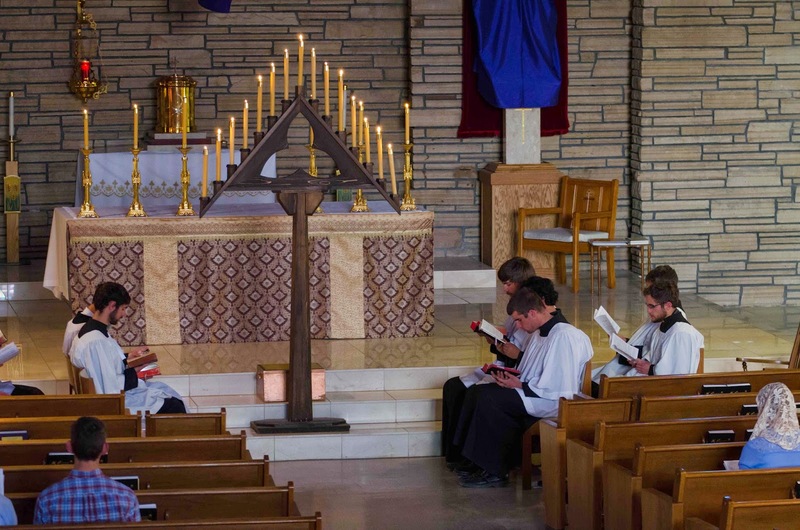 I have noticed over the years that there is something about the overall simplicity of this Matins and Lauds liturgy combined with the exquisitely sorrowful melodies of the responsories that puts one's soul into a timeless state, a sort of stasis where one can merge into the now-present reality of the Passion, the taking of Christ captive, the betrayal, the horror of it all and yet the tranquil surrender of the Lord and His utter control over the whole situation. 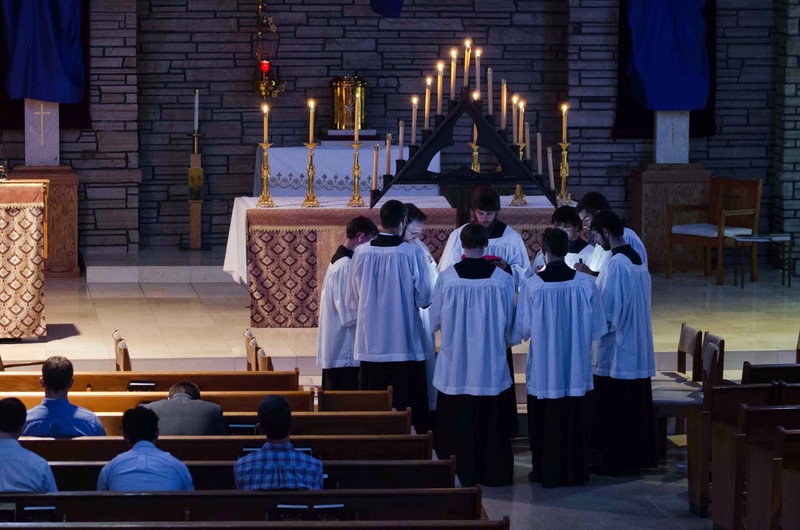 The sheer magnitude of the liturgy (it takes us over 2 hours to chant it) is a form of asceticism -- as a cantor, I am almost never as exhausted as I feel after Tenebrae! -- and the waves of psalms, lessons, and responsories are, if you'll pardon the expression, musically hypnotic, even cathartic. One goes away feeling both a bit giddy and thoroughly sober (perhaps due to the strepitus, which acts like a thunderbolt on the nerves), alert to the tragedy of Gethsemane, comforted by the certainty that all of this was planned, has already happened, is happening now in my life and in our present moment, and, today as in the past, has issued and will issue in triumph. No amount of clamor can destroy the indomitable Son of God, in spite of His bruised and battered appearance, when He allows it. Tenebrae: the Office of Darkness. 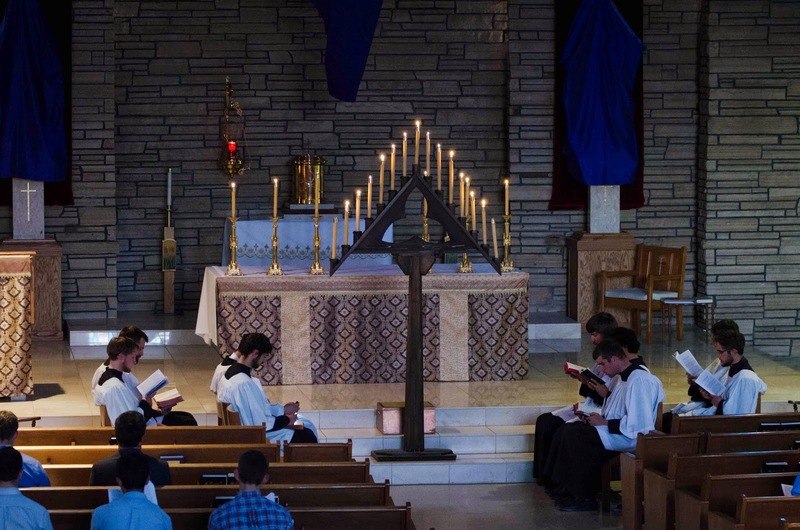 Catholicism does not ignore the darkness, but faces it squarely, walks into it and through it towards the Light. The Light of the Resurrection banishes the gloom, but only for those who know that they are in the gloom, in the valley of the shadow of death, and need a Savior. 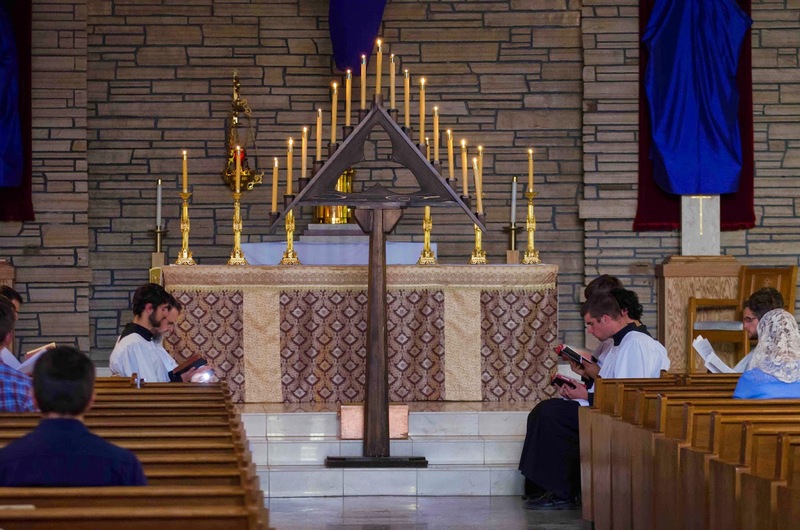 Even in this Paschal season, may the Lord grant us -- as sinners in desperate need of His mercy -- the grace of entering into the Passion with Him, so that we may share in His uncreated, unapproachable light.